What's the best CRM solution and how should you choose the best one for your organisation? There are literally hundreds of different CRM solutions to choose from and new ones seem to appear every month. That makes the whole process really confusing with all the benefits that different solutions will claim. ​The key thing is what do you want the system to do? What are your requirements and what CRM system match those closest? ​Most companies require that you justify the need for a new system before you make a purchase. That’s why it’s important to determine all the different ways your company will benefit from a CRM system. Building a case for CRM provides the necessary background information to help you define the need, justify the cost and demonstrate the value of the investment. Analyse your existing business processes from many viewpoints, both internal and external, to find out how they impact both your organisation and your customers. Ask your sales force, marketing and customer service teams to identify and document best practices. By evaluating your processes now, you can identify what’s working and what’s not, and prepare to implement a new CRM system that emulates the most effective strategies for achieving success. The best CRM solutions are those that go beyond fulfilling the basic CRM functions. Choose a CRM system which has growth potential. You don't want to have to change your CRM after 12 months because you've outgrown it! Also, look for a system that has integration options. CRM does not have to stand on its own. They can talk to other applications to share information so you only enter data once to reduce duplication. What are your timescales? Can the CRM system be setup in time for your deadlines? Where do you get the solution from? Direct from the author or via a CRM supplier? How much experience do they have in CRM? How long have they been in business? Do you get on with them? What's the after sales support like? If a query arises, how easy is it to talk to someone to get advice and solutions? How long has the CRM product been out there? Has this CRM system been used in organisations like mine? And if not, can it be customised to meet my specific requirements? Do I have the commitment of all the identified users in my organisation to use the new CRM system? 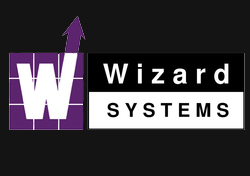 Wizard Systems are you uniquely placed to offer professional advice to you on which CRM system is best for your business. We have implemented over 3000 systems since we started way back in 1993. Contact us today to discuss your requirements and get the best CRM system for your business!